Oh hey! 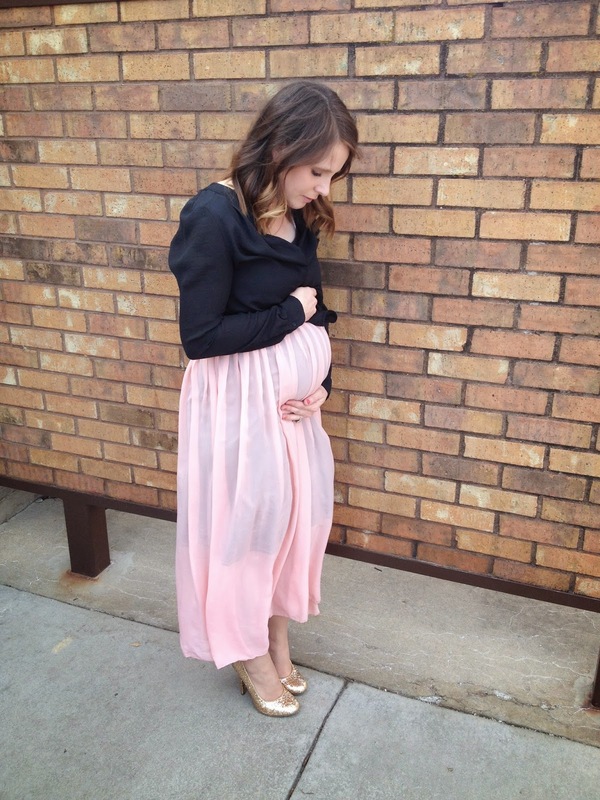 I'm still pregnant, I just never blog about it! A little update, shall we? Prepare yourselves for a lot of quality mirror selfies. ^the awkward stage where you sometimes just look fat and not at all pregnant, especially when sitting down haha! And now we are at 30 weeks! Wow I've been so awful at documenting this pregnancy. Poor baby girl ha! Gender: Still assuming girl since I haven't had an ultrasound since 18 weeks when they told us it was a girl! I have a little bit of anxiety that she will come out and not be a she though ha! Total weight gain/loss: At my last appointment the doctor said 24 pounds but I think either the nurse wrote the weight down wrong or the doctor calculated wrong because I watched the scale when she weighed me and it was only 20lb more than what they've recorded as my starting weight. So I'll have to confirm at my next appointment in two weeks. Exercise: I just finished Jillian Michaels' 30 Day Shred! Okay that's a little bit of a lie because I only finished 28 days and then both my boys came down with nasty fevers for a week aaand basically I've not exercised all week long ha! But I'll do my last two days and then it's on to running or (stationary) biking every morning! I did pay a visit to a chiropractor a few weeks ago (my first ever chiropractic experience!) and it cured my severe lower back pain that I was having at nights and also significantly reduced the severity of my restless leg syndrome. I've noticed the restless leg syndrome getting bad again in the last week so I think I may be due for another visit soon! I'm also just generally uncomfortable and restless at night. I seem to have more Braxton Hicks at night which never hurt but just feel uncomfortable having your belly so tight! Plus they always make me have to pee (tmi?)! Food cravings: Root beer floats and fresh fruit...not together. Movement: Soooo much movement! I'm sure it's the same as the boys but I always forget how much they move at this point! She is always twisting and turning! What I miss: Regular clothes. Being able to reach to paint my toenails. Not having to pee every 30-60 minutes. Sleep. What I'm loving: Baby movements, browsing baby girl clothes, making headbands/binky clips/quilts, etc!, planning and starting to decorate the nursery. 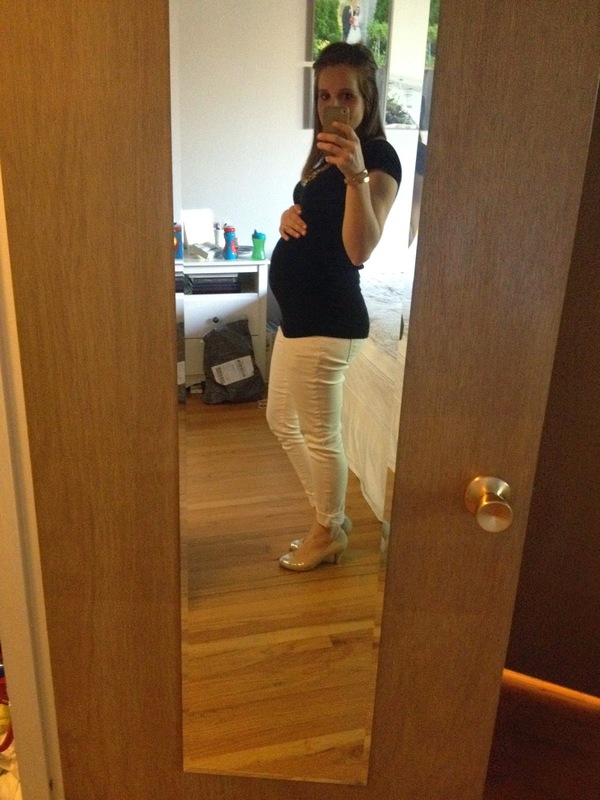 What I'm looking forward to: The 40 week mark ;) And also a baby shower in late May! 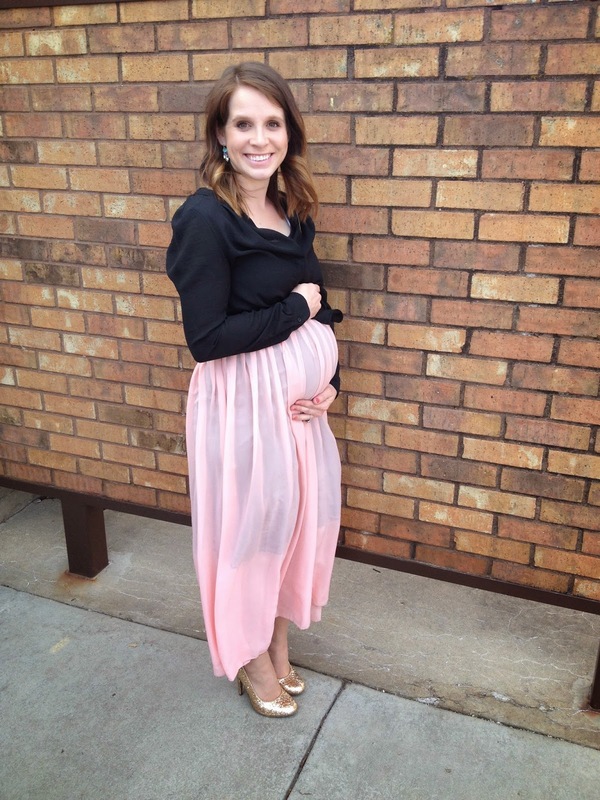 Best moment this week: Finishing baby girl's (and mama's!) first quilt! It is far from perfect but I'm so in love! I will post a picture soon, promise! I had an OB appointment this week and measured only 28cm at 30 weeks (supposed to measure 30cm) and so the doctor told me "this is not a big baby." And man am I hoping she's right! Because I really, really want a 7-something pounder! I can't even imagine a 6 pounder! That would be amazing ha! Another fun fact? My mom came with me to my OB appointment this week to help watch the boys and when we pulled into the parking lot she said "this is where I used to come!" Apparently she delivered all six of her babies at the same clinic where I'm being seen! When we went into the office we figured out that the doctor who delivered me is actually still practicing ha! I'm on rotation with all the doctors at this point and I actually have my appointment with him in two weeks, so crazy! I definitely plan to tell him that he delivered me ha! I think it would be so crazy if he delivered baby girl! How many people can say that the doctor who delivered them also delivered their baby? Except I really love my primary doctor and would love for her to deliver me. Honestly I love everyone I've seen so far and would be happy with any of them delivering my baby which is a great feeling! - considering with Phillip's delivery I somehow ended up with a random on-call doctor who wasn't even from my doctor's office! Overall, I have to say I've felt really good this pregnancy! Nights aren't great with the restless leg syndrome and general discomfort but during the days I generally feel pretty great! I still have energy to chase the boys around, I'm relatively comfortable during the daytime hours, and I'm loving Jack's excitement over "new baby." We are getting so excited to welcome a little girl into the family! If only we could decide on a name...! Can't believe we have less than 10 weeks left eek!! you look soooo tiny in that last picture!